When you are considering the next addition to your family, an important and often overlooked factor to consider is the lifespan of your future pet. Depending on the species, these intelligent birds may well end up outliving you. The word “parrot” – in the scientific sense – refers to the order of birds that is called Psittaciformes, which consists of about 370 different species. Therefore, it is no surprise that average parrot lifespan can differ quite drastically between all these different members of the same biological order. The bird species most commonly kept as pets include large parrots (African greys, Amazons, Macaws, Cockatoos), mid-sized parrots (such as Quaker parrots or Rose-ringed Parakeets), and small parrots (Cockatiels, Parakeets, Lovebirds and Parrotlets). The African grey, perhaps the most intelligent – and certainly the most apt at conversation – of all pet parrots, can easily reach between 40 and 60 years of age, the average lifespan being 45 years. 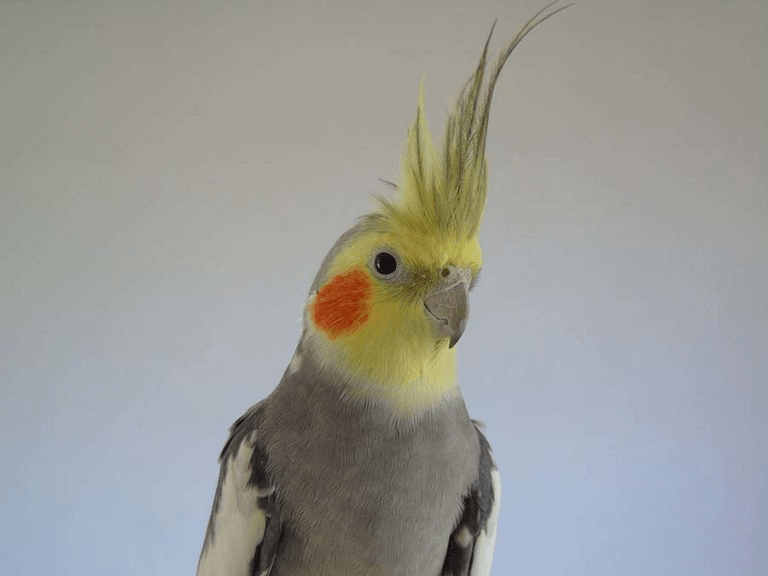 Alex the parrot, whose media presence boosted the popularity of the African grey as a pet, died a surprisingly early death at 31; yet there are reports (though unconfirmed) of African greys reaching 80 years of age! How Long Do Amazon Parrots Live? The colorful Amazon parrots, who are similarly talkative and playful as African greys, can also reach a quite impressive age of 50 – 70 years, although the average lifespan is probably around 45 years of age. Macaws are the largest of all pet parrots and also the record holders for longevity. They originate from Central and South America and come in many different shades, their signature characteristic being the long colorful tail feathers. Macaws can live to between 40 and 50 years, with one specimen that allegedly died at over 80 years of age. In 2004, The Daily Mirror published an article about a Macaw named Charlie that was thought to be 105 years old at the time. The previous owner of Charlie also claimed that she belonged to Sir Winston Churchill when he was Prime Minister, but Churchill’s daughter later refuted these claims (although Churchill did own a parrot briefly, an African grey by the name of Polly). While we can’t really be sure that Macaws can reach over 100 years of age, you can still count on spending most of your adult life with this beautiful companion. How Long Do Quaker Parrots Live? Quaker parrots, also known as Monk parakeets, are a smaller parrot species and have a shorter lifespan – they usually reach between 15 and 20 years of age. The Quaker parrot is the most common species of parrot in the wild, and well-liked as a pet for its liveliness. Among the Cockatoo family, Cockatiels are by far the species that is most frequently found in captivity. These native Australian birds rarely reach more than 25 years of age – though the oldest reported specimen was 32 years old. Their average lifespan lies between 15 and 20 years. The term “parakeet” refers to a large, heterogeneous group of small parrots, the most popular of which is without a doubt the Australian budgerigar (often referred to as “budgie”). Budgies are the third most popular pet world-wide, ranking right after cats and dogs. Budgies can reach 15 – 20 years of age, though the average lifespan in captivity is closer to 10 years (often due to husbandry and diet mistakes, unfortunately). 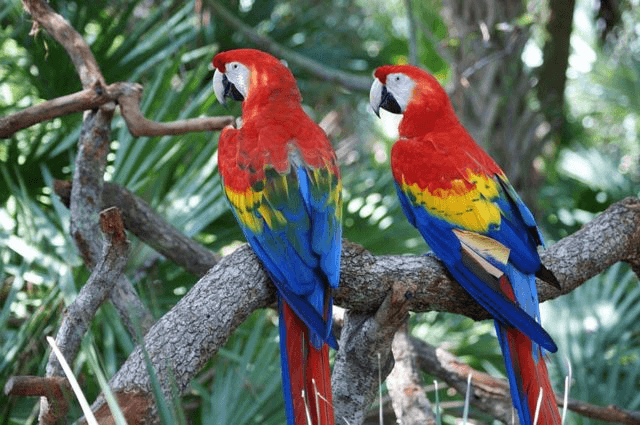 How Long Do Wild Parrots Live? There is obviously not as much data on the life expectancy of parrots in the wild as there are accurate statistics on birds in captivity (especially zoos around the world do a great job in keeping track of the ages of their inhabitants). However, it is safe to say that most medium-sized and small parrot species have significantly shorter lifespans in captivity. One reason for this is their susceptibility to certain health problems that mainly arise in captivity – examples being aspergillosis (an airway infection with a type of fungus); reproductive problems (such as egg binding, where the female is unable to lay her egg due to a lack of dietary Calcium); or the many diseases associated with obesity and lack of exercise. There are exceptions to this rule, though: large parrot species in captivity often far exceed the life expectancy of their wild relatives. The average lifespan of wild African greys is reported to be as low as 27 years of age (compared to 45 years in zoos). Researchers think that this might be due to the high adaptability of these very intelligent large parrot species, though it’s hard to say for sure. Either way, if you’re looking to spend the rest of your life with your next pet, large parrots are most certainly up for years of fun with you! “Macaw”. Oxford English Dictionary (3rd ed.). Oxford University Press. September 2005. “Daughter scotches Churchill parrot claim”, BBC News. 21 January 2004. Fasbach, L. 2001. Edgewater Online. A squawk in the park. Brouwer, K., Jones, M.L., King, C.E., Schifter, H. 2000. International Zoo Yearbook. 37 (1):. Pp 299–316. Longevity records for Psittaciformes in captivity. Perrins, C. 2003. “Parrots, Lories, and Cockatoos”. The New Encyclopedia of Birds (1 ed.). Oxford University Press. Young, A.M., Hobson, E.A., Bingaman Lackey, L., Wright, T.F. 2012. Animal Conservation 15. Pp 28-43. Survival on the ark: Life-history trends in captive parrots.